When it comes to the very controversial bucket list, this will vary according to different people’s interest when it comes to their journeys across to the far corners of the Earth. 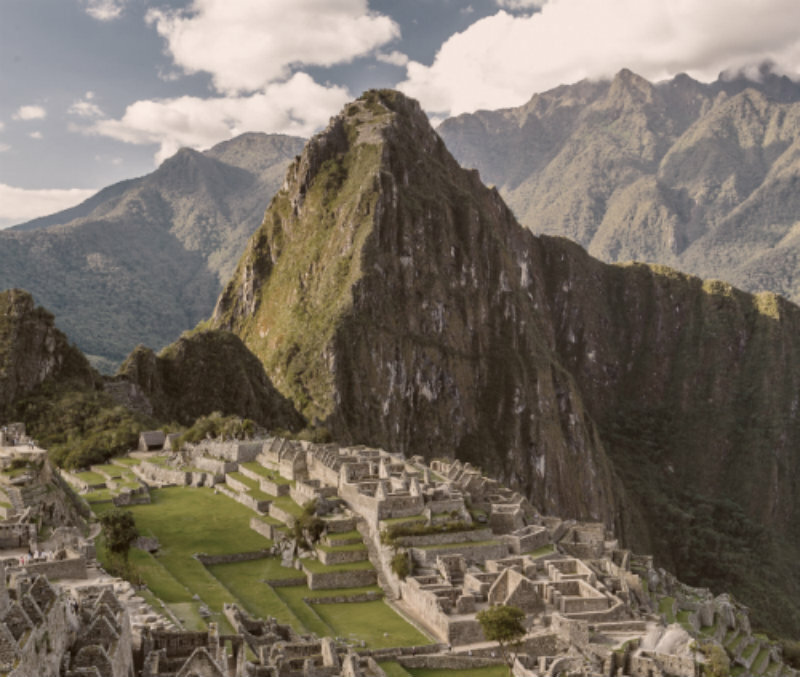 When it comes to beholding the remains of civilisations past, however, one item always makes it to practically everybody’s bucket list: visiting Machu Picchu in Peru. What makes this archaeological site a cannot-miss, must-see place for anyone with a thirst for travel experiences and a passion for exploration? Read on below for eight spectacular facts about this ancient city that make the city uniquely irresistible. 1. Machu Picchu was built by the Inca Empire. The Inca Empire was the largest empire in pre-Columbian America, and its centre (political, military and administrative) was located in Cuzco in today’s Peru. This empire arose in the early 13th century and flourished until the Spanish Conquest in 1572. 2.The ruins stand in the ultimate dramatic location. The ruins of Machu Picchu stand on a high ridge, 2,430 metres above sea level, in the eastern slopes of the Andean Mountain Range, with the Urubamba Valley below and the tropical forests of the upper Amazon Basin in the surrounding areas. 3. The site was abandoned in the 16th century. 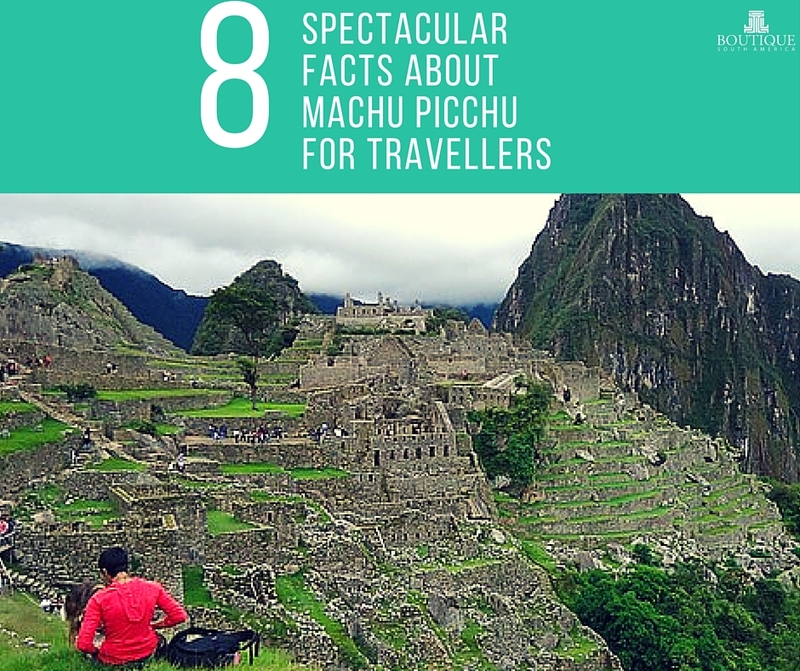 Only about a thousand people were estimated to have lived in Machu Picchu itself. The Incas then left Machu Picchu for good when the Spaniards came and conquered them in the early 16th century. However, the Spaniards never discovered the site at the time, and this fact helped aid the site’s preservation for hundreds of years until its recent discovery. 4.Machu Picchu was only brought to international attention in 1911. Despite being abandoned centuries ago, it Machu Picchu was only relatively recently discovered and made accessible to the public. 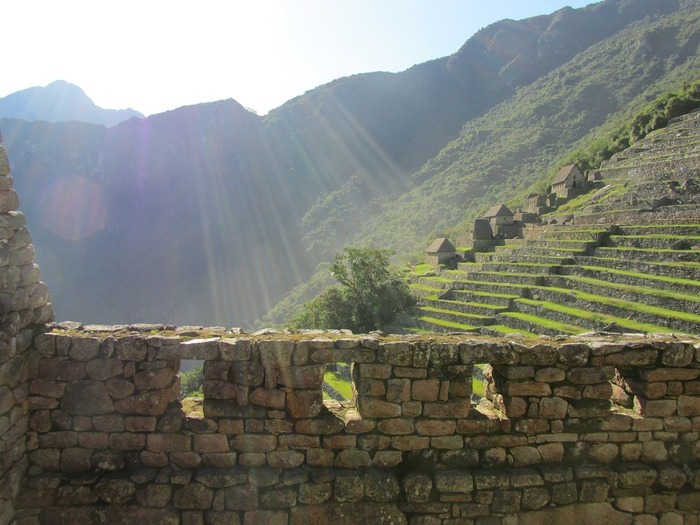 In 1911, American historian Hiram Bingham publicised the existence of the cultural site, which paved the way for restorations (which are ongoing to this day) to help visitors gain an idea of what the original structures looked like. Machu Picchu was declared a Peruvian Historical Sanctuary in 1981, a UNESCO World Heritage Site in 1983, and one of the new Seven Wonders of the World in 2007 through a worldwide Internet poll. 5.The Lost City is a massive complex of temples, palaces, plazas and homes believed to be laid out in order of purpose. Machu Picchu is made up of approximately 200 stone structures as well as 700-plus terraces that promoted agriculture and demonstrated an extensive water distribution system that helped prevent soil erosion and make smart use of water up in the steep slopes. It is still unknown whether Machu Picchu served as the Incas’ military stronghold, a ceremonial site, a retreat venue for elites, or simply an agricultural and astronomical centre. 6. The construction of Machu Picchu leaves people puzzled to this day. 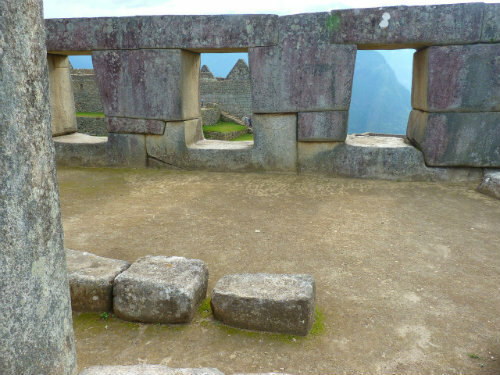 Scholars are still wondering how the Incas were able to construct Machu Picchu without the use of wheels, iron or steel. No mortar was used either, and yet the cut stones remain impenetrable by the blade of a knife — that’s how solidly built the site is. 7. Visiting Machu Picchu can be done in a variety of ways. Some travellers choose to follow the footsteps of Hiram Bingham and trek for days and through a range of sceneries and landscapes. Others choose to board one of the trains that take you to Aguas Calientes, the town that is a short bus ride away from Machu Picchu. Whichever option you choose to get there, a local or pre-arranged guide will enhance your visit by giving you perspective and explain the site’s significance and the many mysteries surrounding how it was built and remains in such great condition. 8. The Incas left behind no written languages, so the purpose and story behind Machu Picchu remains a mystery to this day. Standing among the ruins of Machu Picchu, you can only wonder at the lives that were lived and the determination that was put into the construction of this marvelous city. There’s certainly no better addition to your bucket list than standing in awe in the midst of the remains of a powerful, glorious civilisation that marked an important era of South American history.